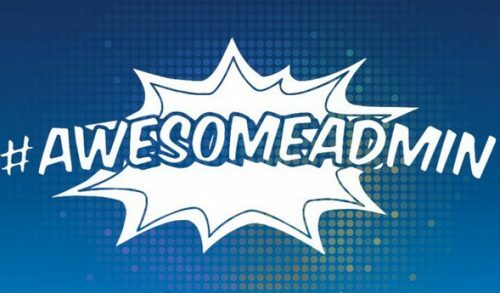 Mike Gerholdt, Director of Admin Evangelism, has lit the signal of all you #AwesomeAdmin superheroes. It is almost time to submit session presentation ideas for the Admin Track at Dreamforce 2018! What is it that you know really well or are super passionate about? Maybe you want to present with some of your fellow admins? You’re going to want to start thinking now so that when June 1 rolls around, you are ready to hit “submit”. The “activist CEO” of Salesforce, Marc Benioff, stopped by CBS This Morning this week and talked two items that he is passionate about – privacy of technical data and gender equality – as they help make Salesforce the #1 place to work. While it was a quick blurb, it really hit home with me this week. Look, I’m all about spending 80% of my waking day on my phone, computer, or sometimes both at the same time. But on the flip side, it doesn’t make me feel like my personal privacy isn’t at risk. I blog, not just here, but also about my family life. If tomorrow all things changed and I wanted all that gone from the internet, it would be a chaotic process to get it down. Technolgy is in a crisis of trust! Although I’ve been a little MIA here on this blog (and my others) due to the work demands of getting ready for GDPR coming May 25 to my EU co-workers and customers, it’s been so worth it. The precautions were are able to put in place for privacy thanks to the customization options in Salesforce make me feel a little safer. Imagine if we had rules here in the US like the EU is implementing! The EU is getting us as a technology world just a little closer to that safety we need. And as for gender equality, I off-handedly mentioned something to the others here on this blog that we’ll talk about soon but will spoil it a little right now. When I am working from home, I hate the guilt I feel hearing my twins yell that they need something or when I see dishes piled in the sink – aren’t those the woman’s work?!? At my house, those dishes aren’t my responsibility, but something about culture “norms” make me feel like I need to be doing them. Nope, I need to be sending The Hubby a Trello card and asking him to take care of them like he should on his side of the deal. Equality extends from the workplace into my home life and the more that bosses and society see that women don’t have to “do it all for less”, the better! With the release of Salesforce Essentials, all I can think about is how many more Accidental Admins we’re going to have out there blazing trails! This solution is an out-of-the-box delivery of the things we all love about Salesforce, but with in-app tutorials and guided setup. As the admin of a small business that went live with Salesforce many years ago, I know how important it is to pick a CRM tool that will scale as you grow and help you sell smarter and provide impeccable service to your customers. 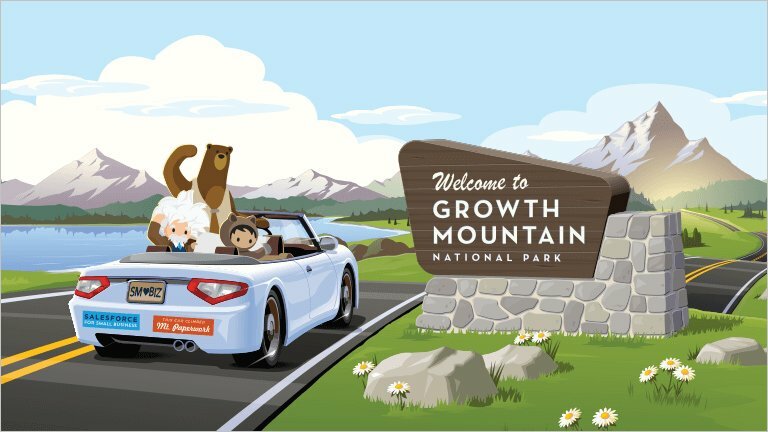 Salesforce is a great way to integrate it all, and this is just the start of the “Growth Mountain” that we’re going to see here in the Admin realm. Welcome to the park, Accidentals!